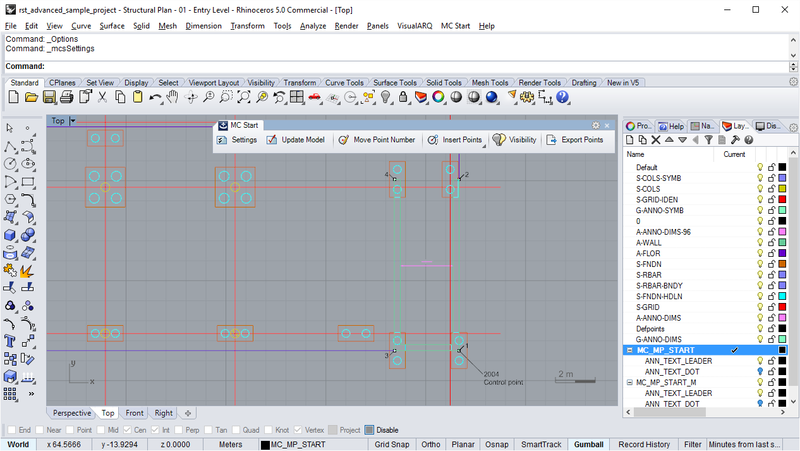 MC Start is a low-cost, entry-level construction layout software for the interaction between Robotic Total Stations and CAD / BIM software. It offers basic functionality in order to build as designed And it monitors and simplifies all actions taken from models to Realisation and backwards. Thanks to the many wizards, which will guide you step by step, the MC Start software is ideal for surveyors with basic knowledge of computers and CAD / Revit. MC Start has on purpose common functionality. If you need more functionality, then MC Next can be used. It has never been easier to create points within models for setting-out purposes. 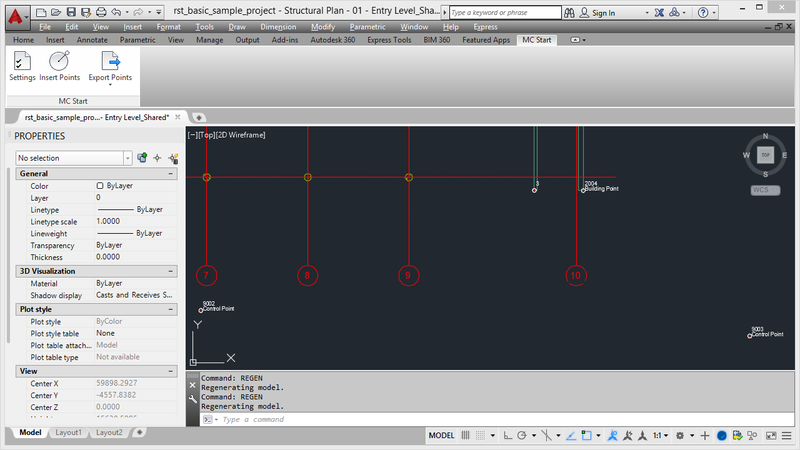 It’s just a matter of launching your CAD / BIM software from within the MC Start environment, and that’s it. 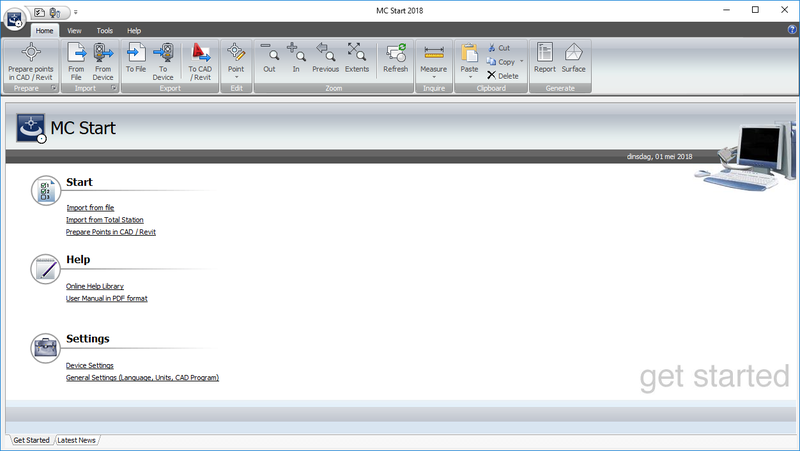 The MC Start functionality will be added to your CAD / BIM software automatically. 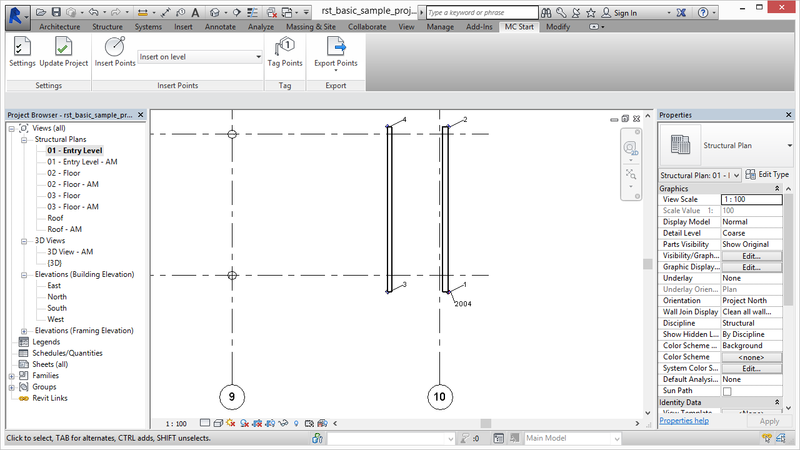 With just a few mouse clicks you can insert points within models for setting-out purposes. The contours of a building are quickly converted to a range of points. When your Total Station supports background drawings, then MC Start can create that for you as well. One moment later and your points (and the background drawing) are loaded in your Total Station. Now you can prepare your projects with a minimum of time And you do not need a specialist. Measured points can be received with a few mouse clicks from the instrument and added to an existing drawing or displayed in a new drawing. You can even draw lines between measured points automatically if you like. A measured facade is in no time exported to CAD as a clear recognizable image. MC Start is therefore not only ideal for builders, but it is also a solution for architects and interior-builders as well to quickly realize their projects.